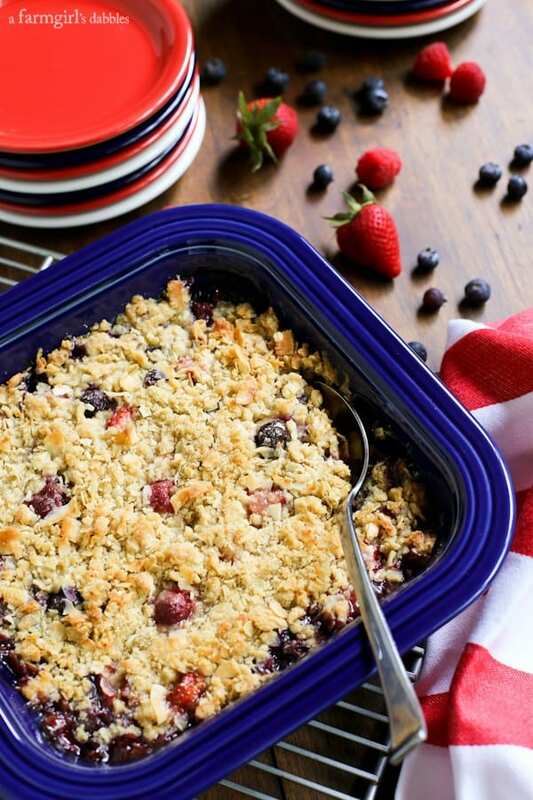 Bursting with berries and topped with a crunchy coconut topping, this Triple Berry Coconut Crisp will be the star of your summer gathering. Berries are my jam. And they make awesome jam. Ha! Half the reason I love summer so much is that all my beloved berries are plentiful, more reasonable on the wallet, and at the peak of their deliciousness. 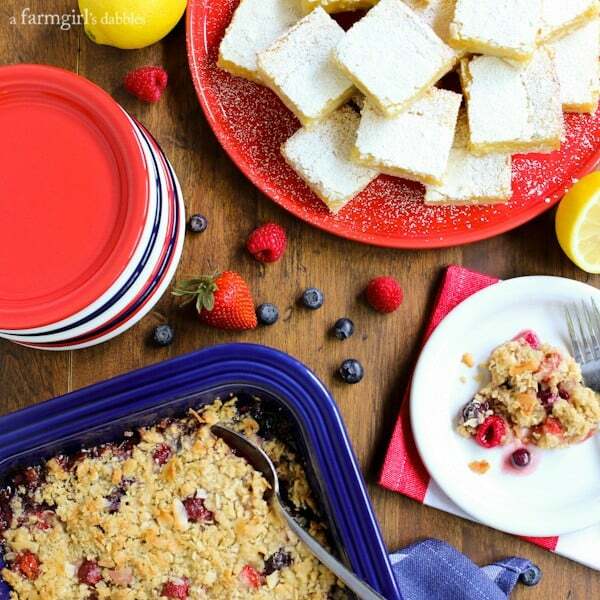 In this dessert, I’ve combined my three favorites – raspberries, blueberries, and strawberries – to create a Triple Berry Coconut Crisp. You’re gonna love it! [rss-cut] My friends at Fiesta® Dinnerware sent me so many wonderful items for entertaining, all in red, white, and blue. From my family’s experience using Fiesta dishes every day for the past few years, we already know how durable they are. Not to mention great looking. 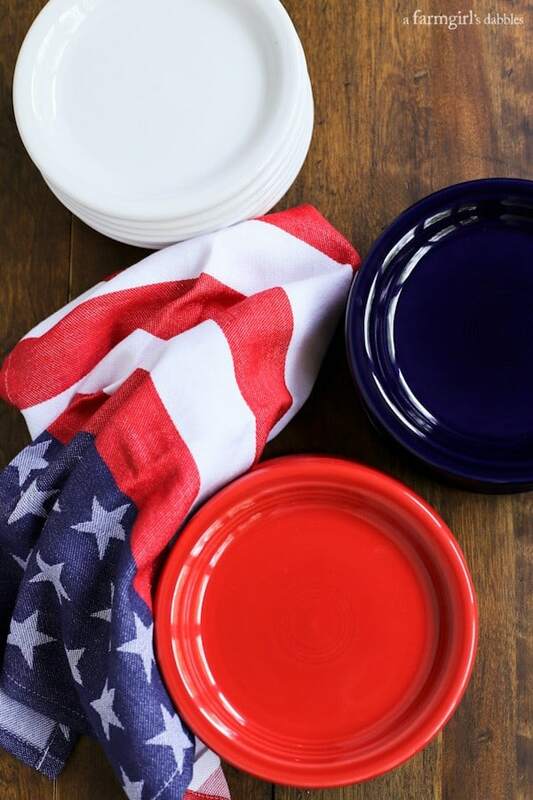 We’ll be celebrating with these appetizer plates at 4th of July gatherings for many years to come. 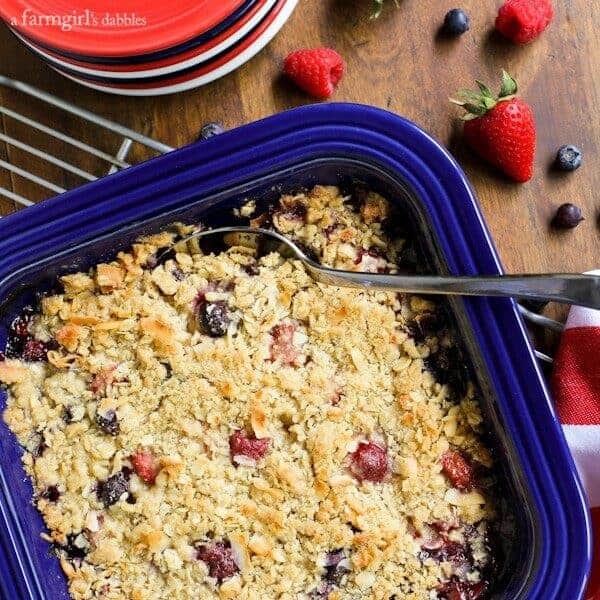 Follow Fiesta Dinnerware’s board 4th of July: A Farmgirl’s Dabbles on Pinterest. I have something fun to share with you. Fiesta invited me to pin my Independence Day inspirations to their 4th of July board on Pinterest. It’s been so much fun to create this collection. The board is so pretty, all decked out in patriotic red, white, and blue! Just click on “See on Pinterest” on the board above, hit the “Follow board” button, and join me for the festivities! This square baker in cobalt blue was a perfect pick for this sweet berry dessert, blanketed in a crispy coconut topping. Cobalt is one of my favorite Fiesta color choices. I’ve always been a fan of the blues. Add berries to a medium bowl, sprinkle with lemon juice, and then fold gently. In a separate smaller bowl, whisk together sugar, lemon zest, cornstarch, and tapioca, breaking up any clumps of lemon zest. Sprinkle half of the dry mixture over the berries and then fold gently. Sprinkle remaining dry mixture over the berries and fold again. Set aside. In a medium bowl, stir together the flour, oats, brown sugar, salt, and baking powder. Then cut in the butter using a rigid pastry cutter, until you have pieces the size of large peas. Add coconut and briefly use the pastry cutter to cut it in. 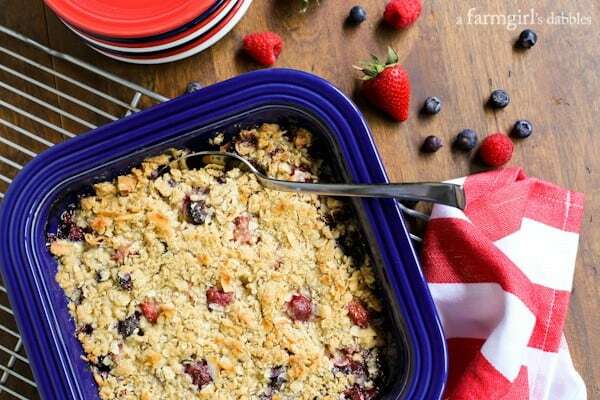 Gently fold the triple berry mixture to combine and then pour it into a 9″ square pan. Top with coconut crisp, leaving any of the super fine flour mixture that is sitting at the bottom of the bowl (discard). Pop a few of the berries up from the coconut crisp topping, if desired, to achieve the peeking berries look as seen in my pictures. Bake for 35 to 40 minutes, or until berries are bubbling and the coconut crisp has nicely browned. I like to also set it under the broiler for a couple minutes to crisp it up even a bit more. Remove to a wire rack to cool for a bit. 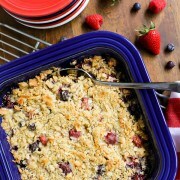 This triple berry coconut crisp is best eaten after it has cooled for 30 to 60 minutes, when the berry filling is still slightly warm and the topping is at its crunchiest. Fresh berries are full of natural moisture and juices, and the crispiness of the topping will fade away after sitting for a few hours. 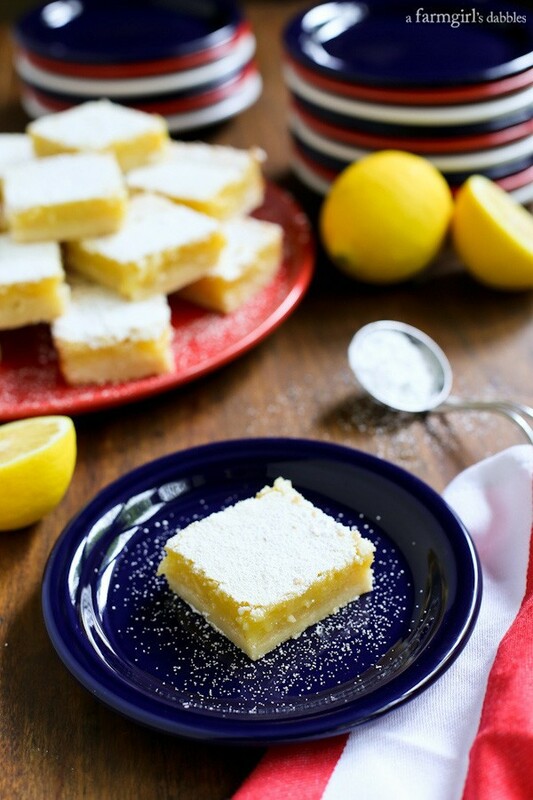 Serve with vanilla ice cream or freshly whipped cream, if desired. 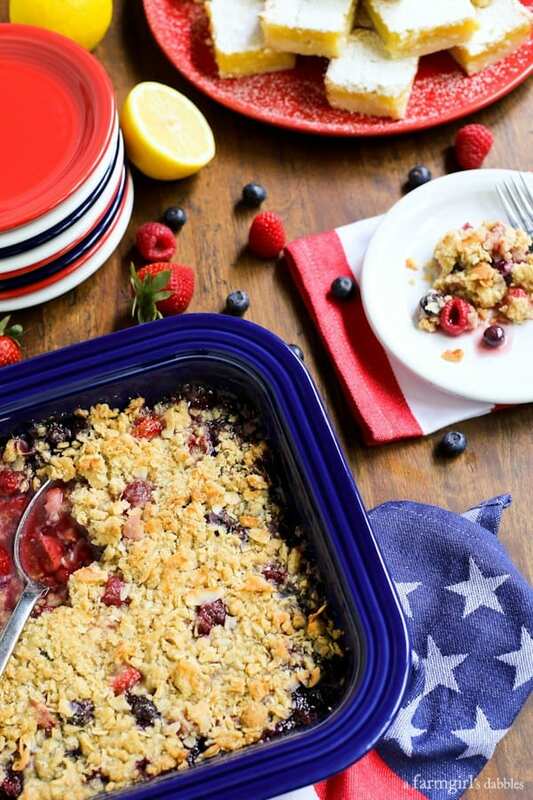 Thank you to Fiesta® Dinnerware for providing the red, white, and blue items for this 4th of July post, and for the holiday Pinterest board feature.